Per the AAA study, 963,000 drivers ages 16-19 were involved in police-reported motor vehicle crashes in 2013, which resulted in 383,000 injuries and 2,865 deaths. 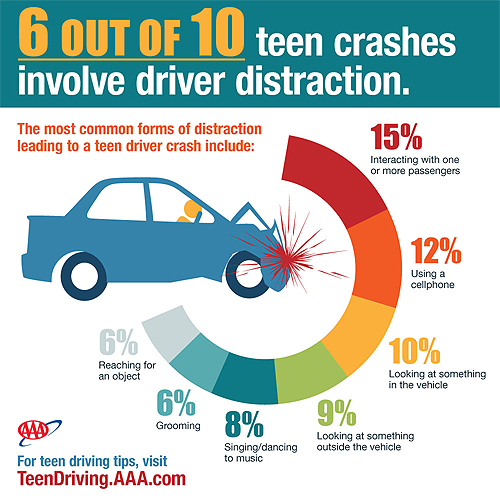 The driver was inattentive or engaged in some other non-driving-related activity in 58% of crashes overall (44% of loss-of-control crashes, 89% of road -departure crashes, 76% of rear-end crashes, and 51% of angle crashes). Categories: PARENTING, SAFETY | Tags: driving, teens | Permalink.